Eighth-graders in Devin Carr's Career Development class will be job shadowing local businesses throughout the month of October. 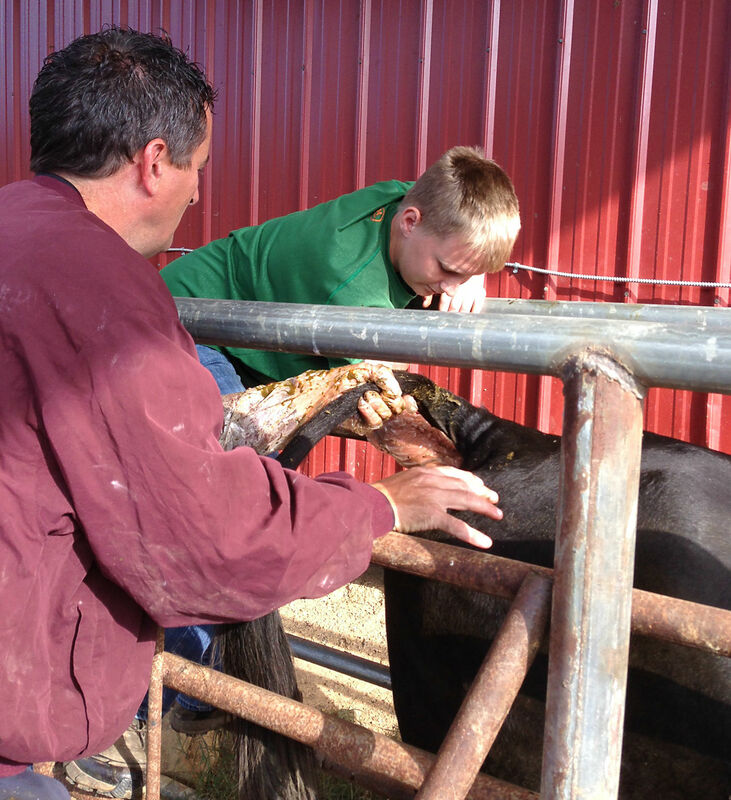 In the video and photo, eighth-grade student Barrett Smith is conducting a bovine pregnancy check during a day of job shadowing veterinarian Roger Helms. In Mr. Carr's course, he hopes to inspire students through real-world experiences like these. Business owners interested in helping students in the Career Development Job Shadowing Program are asked to contact Mr. Carr at (501) 825-7241 or devin.carr@westsideeagles.org. Job shadowing for eleventh-graders will also take place during the school year as part of WSHS' Career Development and College Readiness program's effort to help students formulate a career plan before exiting high school. Career Coach Terri Cornett and Guidance Counselor Nikki Stair coordinate that program through the classes of English teacher Joe West, who requires juniors to complete Job Shadowing during a Career Development Project. Business owners interested in participating should contact the high school at the phone number above.